The ruling Justice and Development Party (AK Party)-run Kocaeli Metropolitan Municipality has rejected a leasing company’s proposal to lease cars to be used for municipal services due to the license plates of the cars bearing the initials of US-based Turkish Islamic scholar Fethullah Gülen, who is accused by Turkey of masterminding a failed coup last summer. 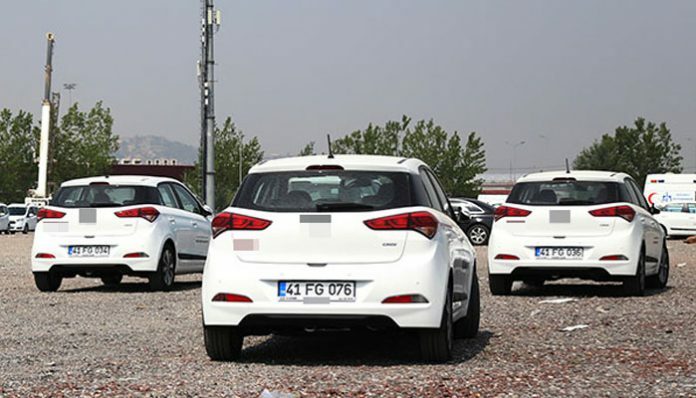 The municipality told Doğan that the cars had not yet been accepted and they will be operational after their plates are replaced with new ones. In August 2016, license plates that include the letters “FG” were removed from vehicles belonging to the Denizli Courthouse. The vehicles are still sitting in front of the courthouse waiting for new plates to be attached. Despite the Gülen movement, inspired by Gülen, having denied any involvement in the failed July 15 coup, the ruling AKP and Turkish President Recep Tayyip Erdoğan initiated a widespread purge aimed at cleansing sympathizers of the movement from within state institutions, dehumanizing its popular figures and putting them in custody. As of March 23, 94,982 people were being held without charge, with an additional 47,128 in pre-trial detention due to their alleged links to the movement. This article originally appeared in Turkish Minute on May 2.